Sarah Silverman and John C. Reilly are once again broadcasting a movie that is smart over the internet, growing up, and about Disney itself. The end of Disney’s 2012 hit “Wreck-It Ralph” reveals that Schweetz’s sarcastic Sugar Rush racer Vanellope is the game’s long-lost princess. This is what she calls one of Disney’s more unusual stories. Vanellope is not Ariel or Cinderella or Sleeping Beauty, but she has serious Disney Princess DNA, and “Ralph Breaks the Internet” draws her attention (again voiced by Sarah Silverman) as she continues on her way to candy-coloured maturity. It is a familiar journey from the Disney canon, but it is supported by a loving relationship with its dedicated best buddy, Ralph (John C. Reilly), the introduction of a resourceful new world, and good-natured digs at the Art Princess. Centric stories that came before. 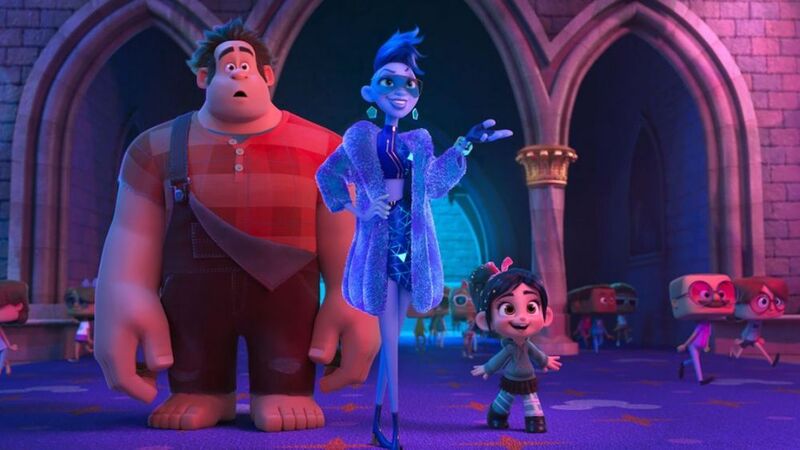 While the first “Ralph” movie focused on Ralph’s liberation from the video game villain to a legitimate hero, “Ralph Breaks the Internet” turns his attention to Vanellopes next big step. The same creative mind that so vividly imagined the world in various arcade games now expands to embrace the whole big bad internet. Returning director Rich Moore is accompanied by Phil Johnston, co-author of “Wreck-It Ralph.” The couple’s partnership brings forth one of the most ambitious features of the year, at least when it comes to contextualising something as erratic, weird and crazy as the world does.